Edward L. Baker President of Video Consultants NorthWest LLC. 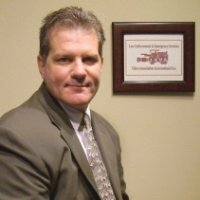 Edward is a Certified Forensic Video Analyst and a retired Major Crimes Detective with over 27 years of Law Enforcement Experience. For the past several years Edward has provided Product Implementation and Professional Training for Ocean Systems, Law Enforcement and Emergency Services Association (LEVA) and has trained hundreds of Law Enforcement personnel from around the world in various aspect of this discipline. Although Edward lives in the Pacific Northwest, his services, guest appearances, consulting. and training services extend throughout North America.